“Throughout 2018 the theme was one of ever slowing growth, with Q4 the weakest quarter in nine. 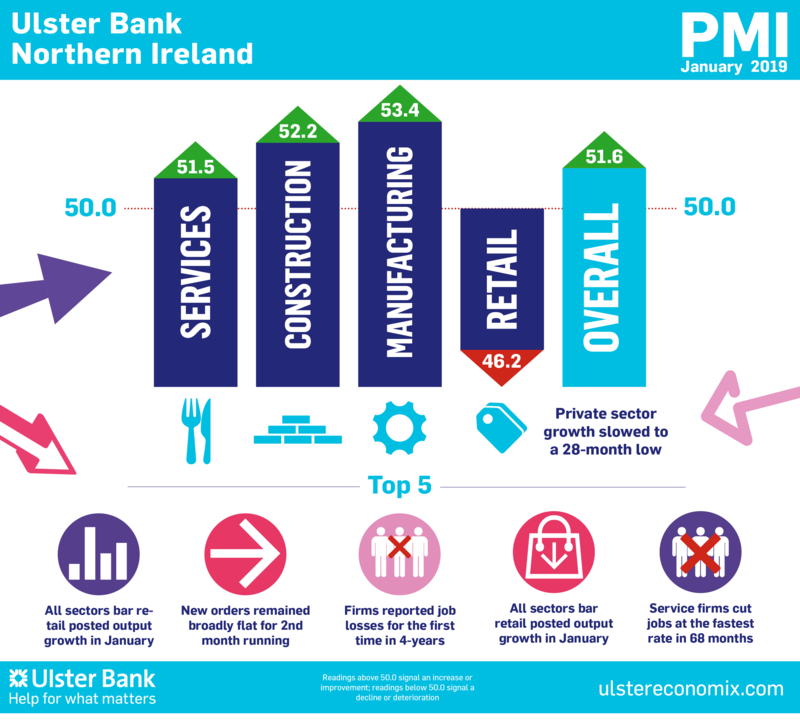 This trend has continued into 2019, with January seeing private sector growth at a 28-month low. Looking at the order books of firms, which have been broadly flat for the past two months, suggests that subdued growth might be with us for some time. One of the most significant findings of the latest survey relates to employment. Whilst 2018 was characterised by a buoyant labour market, a record high in private sector jobs, and growing skills shortages, we are now perhaps at a turning point. The latest survey reports that staffing levels fell for the first time in four-years. Indeed, the Employment Index dropped to a 67-month low. Job losses in the services sector are the primary driver of this emerging weakness.